Accidently went grocery shopping on an empty stomach and now I’m the proud owner of Aisle 5. 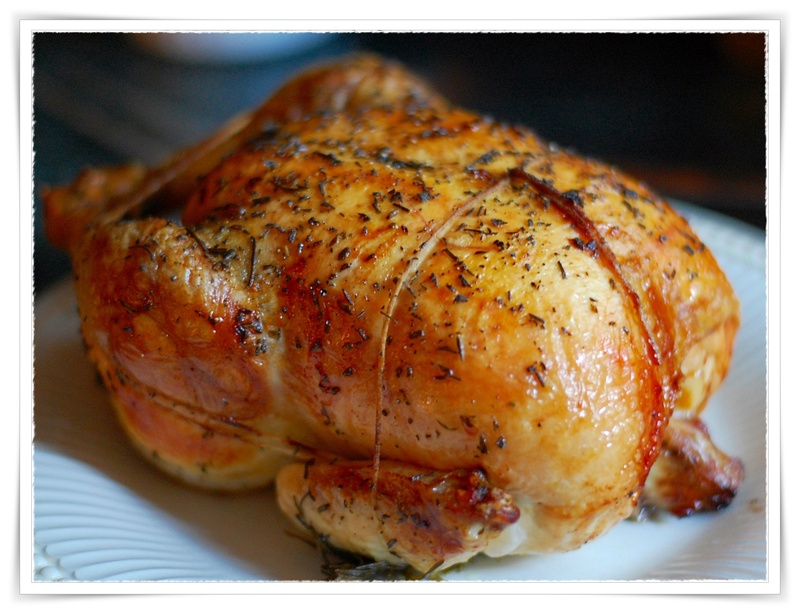 I love a good roasted chicken and with so much going on around here these days what could be easier for a cold night’s comfort food? Inspired by Jeffrey Zakarian with his suggestion of using the pan drippings in the salad dressing, I drooled a little at the thought I mean after all I am the one that loves the crispy chicken skin in my salad so how much harm could the drippings do in a dressing, none, nada, nil, it was a fabulous treat and what flavor! While you are welcome to try his recipe, linked below, I offer a bit of adaptation…first of all you can use convection roasting at 375º (which I did) or a regular oven roast setting, but in both cases, I would and rotate that bird at least every 15 minutes until golden and thigh temperature of the thigh is 155º. During the roasting process check the liquid level often and replenish so you actually have a great pan sauce instead of burnt bits stuck on the bottom of the roasting pan. I added about 1/2 cup of water at each rotation of the chicken and I had plenty of pan sauce. Notes: For a considerably smaller chicken, I used one lemon and one lime then drizzled the chicken with a little EVOO after the overnight rest in the refrigerator.